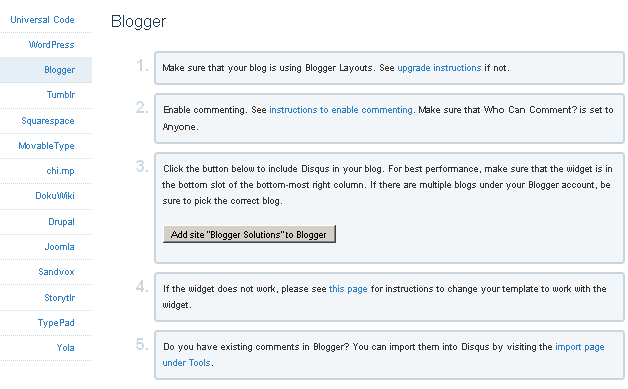 Now Install Disqus Comment System to blogspot easily. * Now fill the registration form as below giving image. * After clicking Continue button next page will be open as below screenshot . * Now again Click to continue button. and when open next page as below image. * Now click to Blogger Option in this page. after click in blogger optin ne page open as below image. * Now click in Add Site......... button which is show as below image. * After clicking this button you will redirect to blogger page element. as below image. * Now click to ADD WIDGET button and you are done. you can remove Title from this widget. 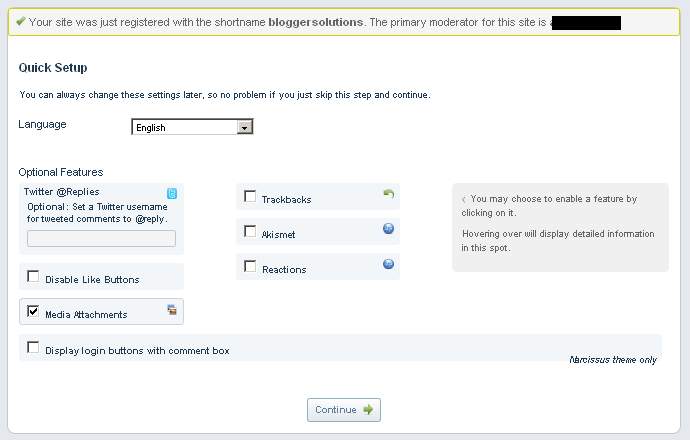 Note : Do you have existing comments in Blogger? 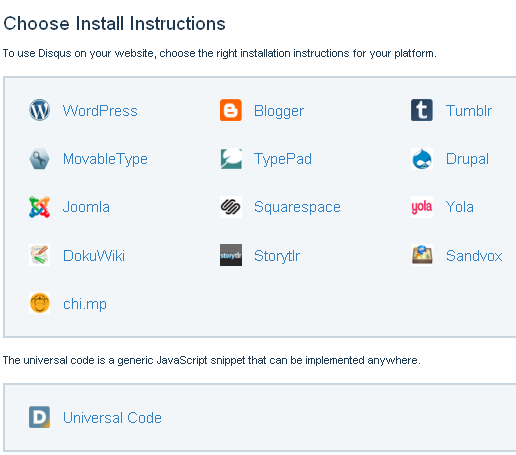 You can import them into Disqus by visiting the import page under Tools. 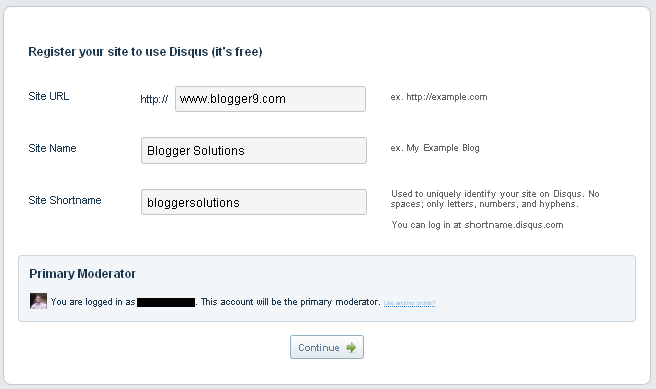 * Now you can see DISQUS comment box under your blog post. CHEERS.